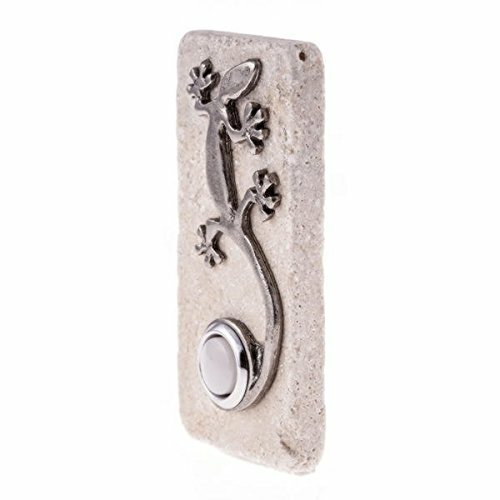 Lighted white door bell push button with gecko design background on travertine stone. Oil rubbed finish. Travertine stone is 2" x 4" deep, dark brown finish. 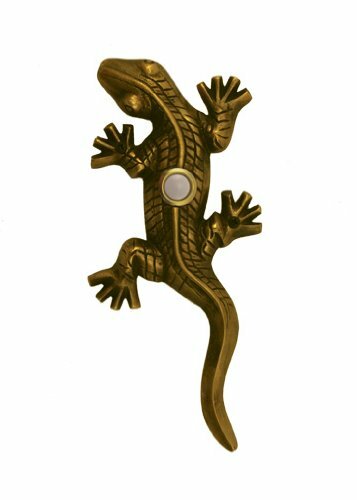 An unexpected and entertaining touch to delight guests at your door! 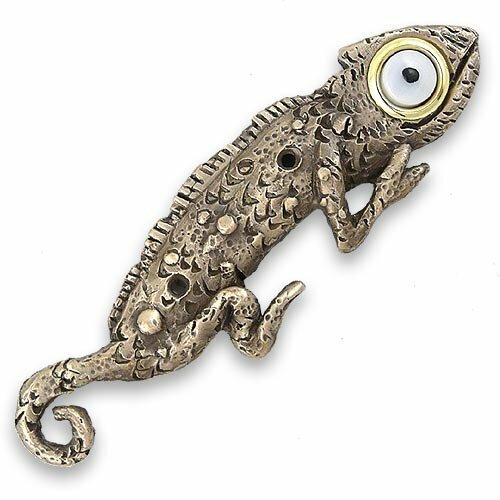 This irresistible chameleon doorbell cover has a large eye that serves as the doorbell button. 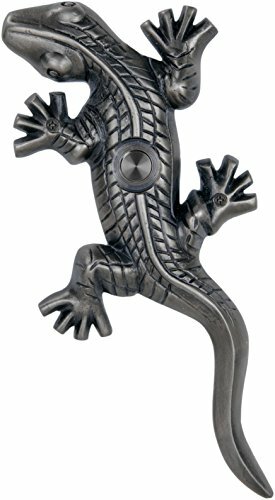 Cast in solid bronze with an antiqued finish, the doorbell cover includes an easy-to-install lighted button and brass mounting hardware. 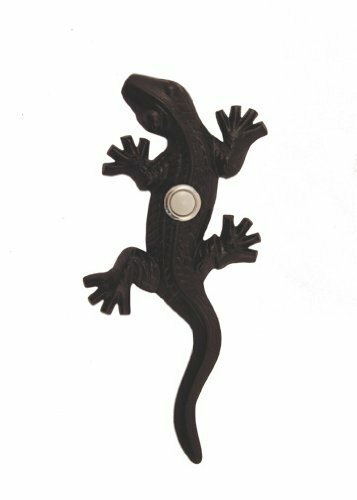 The lil' lizard measures 6" in length and may be mounted vertically or horizontally. Artist-designed and created in Pennsylvania. Door chime button notes: For new installations, a drilled recession is required to install and wire the button, creating a flush surface. For existing button replacements, additional drilling may be required to accommodate a round button. Button has a 13/16 outside diameter. For use with wired chimes only. 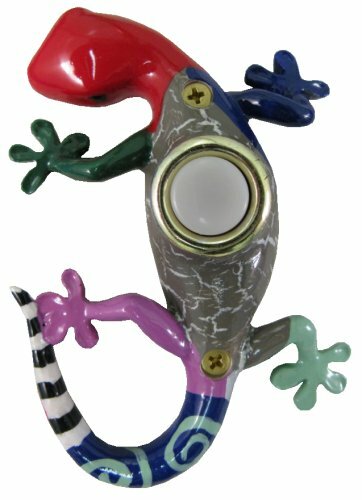 Looking for more Gecko Doorbell similar ideas? Try to explore these searches: Salsa Garden Seed, Highland Mint Mlb Card, and 2 Piece Drop Leaf.